This second offering of workshops has called for a deepening and integration of all that we are learning. In 2017, the themes of Stillness, Movement, Resilience, and Joy feel more relevant than ever. Resting in “Stillness” as the ground of our being is our best starting point for navigating this time of change. “Movement” is the essence of the expression of self. My colleague, Billy Miglino, dance instructor and family and systemic constellation practitioner will join me in leading the March workshop focused on Movement and Creativity. The 3rd workshop, “Resilience” focuses on how we relate to ourselves and other. Finally, in the 4th workshop, we’ll explore “Joy” and deepen into the possibility and potential of our lives, next steps, intentions and callings. All the workshops will include the foundational attunements of the Realization Process and be informed by the principles and teachings of Incarnational Spirituality and Family and Systemic Constellations. Sono is fully certified in the Realization Process teaching modules: Embodiment, Meditation, and Spiritual Psychotherapy and leads workshops and offers individual sessions. For information about the Realization Process please visit www.judithblackstone.com. For information about Incarnational Spirituality please visit www.lorianassociation. Sono has also received certification in family and systemic constellations from Brigitte Sztab. Additional information about Sono and her experience can be found at www.springwoodassociates.com. Movement, Creativity and Healing are the focus of this workshop. We’ll use embodiment practices developed by Judith Blackstone to explore stillness and movement and will incorporate standing, walking, and floor work to deepen and stabilize our experience of embodied fundamental consciousness. We’ll also explore attuning to presence and a deeper sense of our own wholeness as pathways to creativity and healing. My friend and colleague, Billy Miglino, will join me in leading this workshop. Billy is an experienced dance instructor and family and systemic constellation practitioner who brings a keen eye and open. Please join us for this workshop. *Please call if tuition assistance is needed. Comfortable clothing is recommended for gentle movement exercises. Sono is fully certified in Realization Process teaching modules: Spiritual Psychotherapy, Embodiment, and Meditation. In addition to her workshops, she also offers individual sessions. 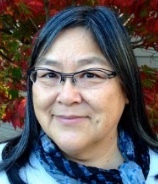 Sono is a Reiki Master and is completing a certificate in family and systemic constellations. She also incorporates teachings on Incarnational Spirituality with the Lorian Association. For questions, please contact Sono at sono@springwood-usa.com. William Miglino is a dance instructor working with children and professional and non-professional adults. With an emphasis on classical ballet, he has also pursued and taught creative and explorative movement. His professional experience in ballet performance and instruction have spanned over a decade. William has also studied matters of emotional health addressing individual, family, and systemic wellbeing and how they are connected. He has completed Family Constellation Facilitator Training under Brigitte Sztab. William has a unique perspective on wholistic health and personal wellbeing; looking at the individual in their body, mind, and heart as well as within their family, work, and communities. Today we live in world of increasing complexity and even uncertainty. How we engage with this complexity in ourselves, our work and the world at large is the subject of this offering. Please join me for a series of one day workshops focused on cultivating deep resilience by being at home in our bodies, our self and our world. Realization Process attunements developed by Judith Blackstone provide the foundation for experiencing deep, embodied connection with our self. Healing, self-regulation, stress reduction and greater joy are some of the benefits of this work. The workshops run from 10:00 am-4:30 pm the 3rd Sunday of each month from October, 2014 through February, 2015 in Seattle, Washington. Please note the December workshop is on the 2nd Sunday. Registration: Sono at sono@springwood-usa.com or 206 300-5058. We will use our voices and movement awareness as our medicine; as our mender of often an overworked worked and impacted nervous system. Our nervous system is constantly impacted and stimulated by all the stresses of our lives – artificial light and bombardment of sound. We will use our voices as our medicine, regardless what ails us, emotionally or physically. I look forward to sharing simple ways to expand your voice vocabulary for your own self-care. The fifth session of the Coming Home workshop series will focus on Holding Patterns. Using Realization Process practices, we’ll focus on inhabiting the internal space of the body and experiencing the constructed boundary between inner and outer dissolve so that we can be present within ourselves and open to a subtle unifying dimension of consciousness. We will tune in on holding patterns that bind the body and keep us from more fully inhabiting our individual being, and use Realization Process practices to help unfurl those holding patterns. For your comfort: Coffee, tea and snacks will be provided but please bring what you need to feel comfortable throughout the day. What to wear/bring: Comfortable layered clothing, slippers/socks, water bottle, snacks if you have specific food needs. Please avoid the use of fragrances so everyone can participate. The fourth session of the 5-part Coming Home workshop series takes us on a deeper exploration of unified consciousness through Meditation. Whether you are new to meditation or a longtime meditator, Realization Process attunement exercises developed by Judith Blackstone, will help deepen our experience of ourselves as and in Fundamental Consciousness. We’ll learn how being in contact with our whole internal being opens us to a subtle dimension of consciousness that we experience as a felt sense of oneness with everything. Registration: sono (at) springwood-usa.com or call 206 300-5058. Deposit: $50 Call or email for mailing address. Checks to Sono Hashisaki. For your comfort: Tea and snacks will be provided but please bring what you need to feel comfortable throughout the day. If you are within the first 4 days of contracting a cold, please take care to minimize the risk of exposing others. What to wear/bring: Layered clothing, slippers/socks, water bottle, and snacks if you have specific food needs. Please avoid the use of fragrances so everyone can participate. Fundamental consciousness is the openness of our heart. It is emotional ground, awareness ground and a ground of physical sensation. As fundamental consciousness, we are fully present and able to experience the qualities of being. Attune directly to the qualitative experience of ourselves using Realization Process practices developed by Judith Blackstone. We’ll learn how to be in our whole bodies and aligned with our deepest core. Experiencing the transparent space of fundamental consciousness pervading us and everything around us supports a deep sense of being at home in our Self and in the world. Healing, stress reduction and greater joy in life are just some of the benefits of this work. Please join me for this series of one day workshops on the following themes. Relationship, the third session of the 5-part Coming Home workshop series takes us on an exploration of self and other. How does being in our deepest core self change our experience of others and the world around us? What is the experience of emptiness and presence? Using practices from Realization Process developed by Judith Blackstone, we will deepen our exploration of ourselves as and in Fundamental Consciousness in the context of relationship. Please join me for Embodiment and Movement, the second session of the 5-part Coming Home workshop series. In this workshop we will focus on contacting the internal space of our body as an entranceway to Fundamental Consciousness, our deepest connection to ourselves and non-dual reality. Using embodied practices from Realization Process developed by Judith Blackstone, we will attune to our subtle circuitry, the subtle channel that runs through the vertical core of our body, and the subtle breath to open our whole being to this subtle, unified consciousness. The practices and movement exercises help us stabilize as and in the balance and stillness of Fundamental Consciousness, integrating the breath and our embodied self to develop presence, expressiveness and fluidity. Inhabiting our whole body increases our contact with ourselves and others. Learn more about Sono. Registration: Sono at sono (at) springwood-usa.com or 206 300-5058. For your comfort: Coffee, tea and snacks will be provided but please bring what you need to feel comfortable throughout the day. If you are within the first 4 days of contracting a cold, please minimize the risk of exposing others. What to wear/bring: Layered clothing that you can comfortably move in, slippers/socks, water bottle, and snacks if you have specific food needs. Please avoid the use of fragrances so everyone can participate. Sono Hashisaki, founder of Springwood Associates, will be a “Lightning Keynote” at Missoula BarCamp which is happening in Missoula, Montana on April 13 and 14, 2012.